When you think of a necessary, everyday product like toothpaste, you don't really associate it with a word like "natural", right? After all, something that's meant to thoroughly clean (our teeth, for example) a surface that's constantly covered in bacteria means it has to be chock full of chemicals. Local, pro-environment brand Human Nature wants us to change that way of thinking. A product doesn't have to be filled with chemicals, many of them potentially harmful to our health, to be effective. 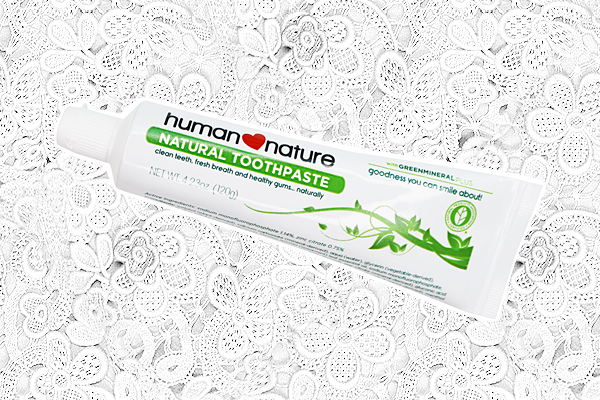 Cue the Human Nature Natural Toothpaste (Php149.75/120g and Php259.75/225g)! It promises all the benefits of a regular toothpaste, but with natural goodness on its side. I'll also be talking about their Minka Bamboo Toothbrush (Php199.75). 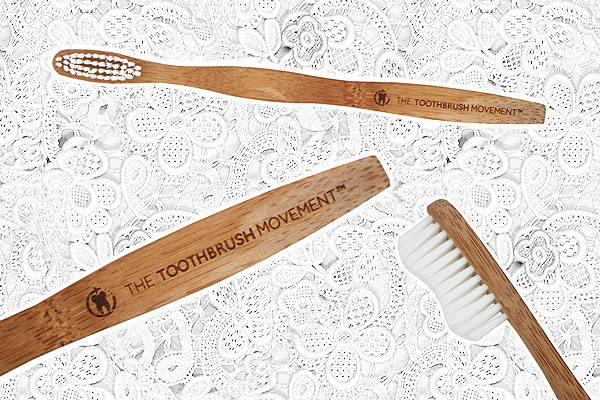 An eco-friendly, antimicrobial toothbrush that serves a good cause. 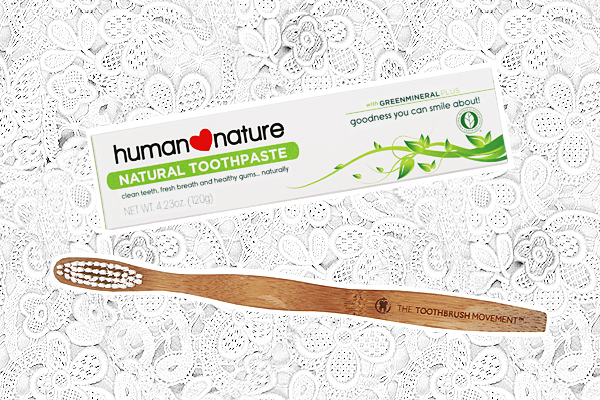 "Brush those pearly whites with goodness you can smile about and have your whole family grinning from ear to ear with Human Nature’s breakthrough toothpaste! Powered by GreenMineral Plus with zinc citrate, calcium carbonate, fluoride, sesame seed oil, spearmint oil and peppermint oil to help fight plaque, tartar, and cavities while keeping your breath fresh naturally." I'll admit. I had my doubts at first. Could a 'natural toothpaste' really do as good of a job as my regular, supermarket-shelved toothpaste? After all, we're talking about our bacteria-laden teeth here. Not only that, many of us subject our teeth to lots of caffeine and sugar - their worst enemy! Surprisingly though, this is now and officially my favorite toothpaste! Each time I brush, my entire mouth feels ultra clean and fresh. Maybe it's psychological trickery, but my teeth feel even cleaner after using this compared to regular toothpastes. I'm also a little sensitive to the level of mintiness in many toothpastes. If it's too strong, I find myself brushing really quickly so I can rinse it away and it's just uncomfortable to use. This one, however, has just the right amount and I can take my sweet time brushing away! The Minka Bamboo Toothbrush I also got has two kinds of goodness, natural and social. Every purchase helps support Habitat for Humanity Philippines, a non-profit housing organization dedicated to building homes for the poor, and Minka. 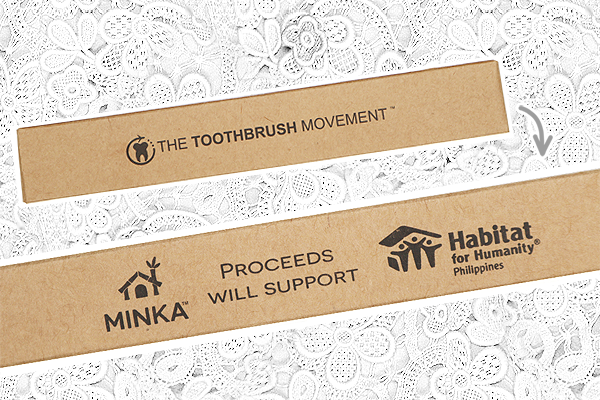 Minka is the organization behind The Toothbrush Movement, that sells eco-friendly and organic products. 10% of their revenue goes to social projects such as building dental clinics in places that lack them, and 5% goes to a charity of the month. I'm a big fan of the toothbrush's design. It's made from eco-friendly bamboo which gives it this sleek, yet still rustic look. The (nylon) bristles have a curved shape to better contour to the teeth and gums as you brush. Now the bristles are labeled as 'soft', but they're definitely a little firmer than your average soft-bristled toothbrush. Just a fair bit of warning for those of you with sensitive gums. The brush's handle is a little bit wider than average too and I saw a few complaints on the Human Nature website about that. Personally, I think it's just fine. Yes, it is wider but I actually like it since it allows me a better grip. Since this is made of bamboo, it's naturally both antimicrobrial and water-resistant. Share your thoughts! Would you opt for a 'natural' toothpaste as well? What about a 'natural' toothbrush? Would you try to make your oral care routine all-natural/organic too and why?